Hello! My name is Alicia and I have the blog Budget Beautiful DIY. Four years ago, I left a career as a hairstylist in a gorgeous salon to stay home with my two munchkins. Going from two incomes to just one has brought out my creative side not only with finances, but also with fun handmade projects. Between changing diapers, attempts at cooking, and reading books to my kids, I whip up little crafts to bring a touch beauty to our lives. 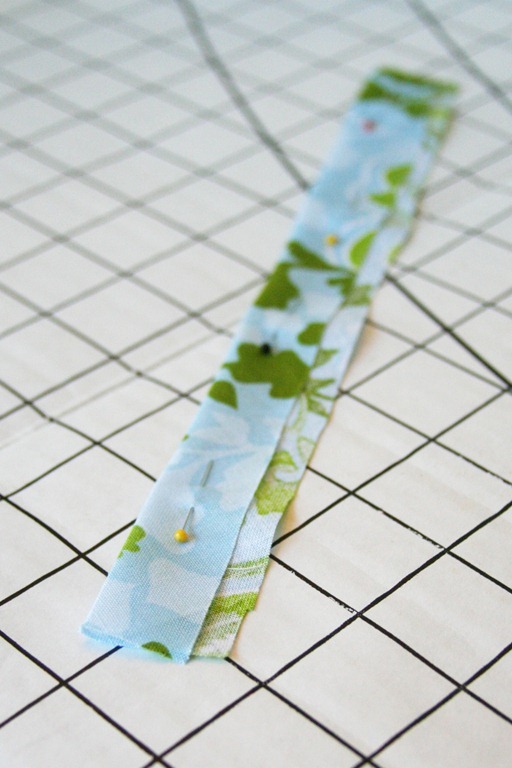 Make sure all your strips are cut on the bias (on the “bias” means to cut your fabric on an angle so the threads in the fabric are running on the diagonal). This way you don’t have strings shedding off your headband. 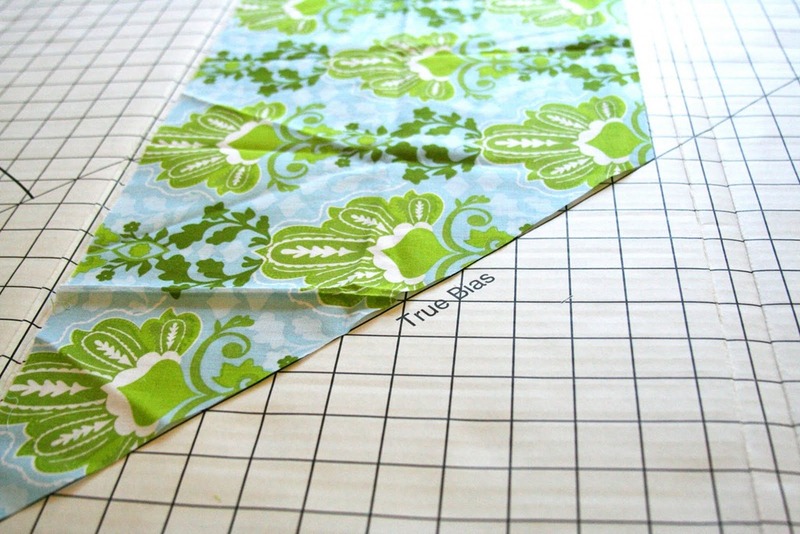 Cut two more strips as long as you can make them 1″ wide to wrap your headband with. 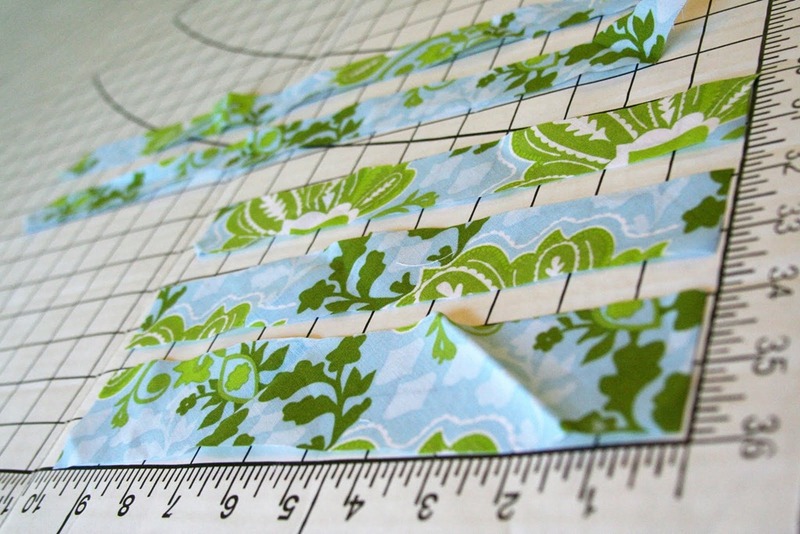 Step One: Take the widest strip and fold in half lengthwise about 3/4 of the way as in the picture. 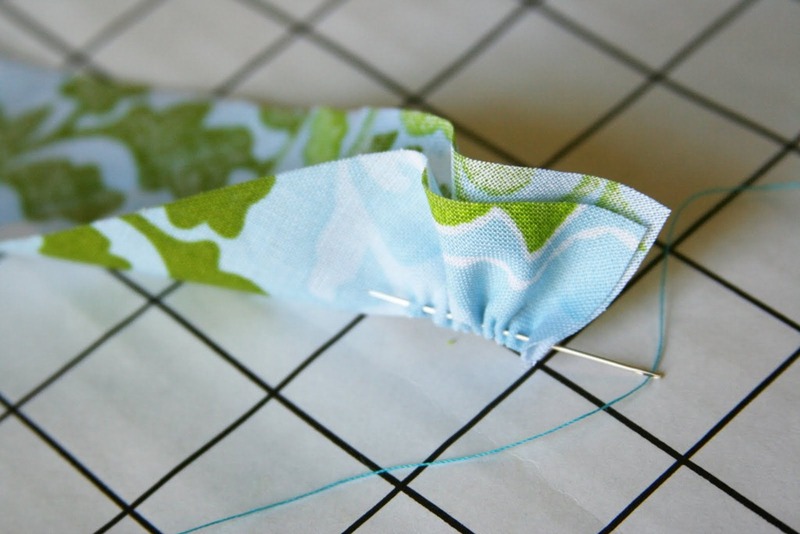 Step Two: Sew along the long folded edge and pull the stitching to gather it. 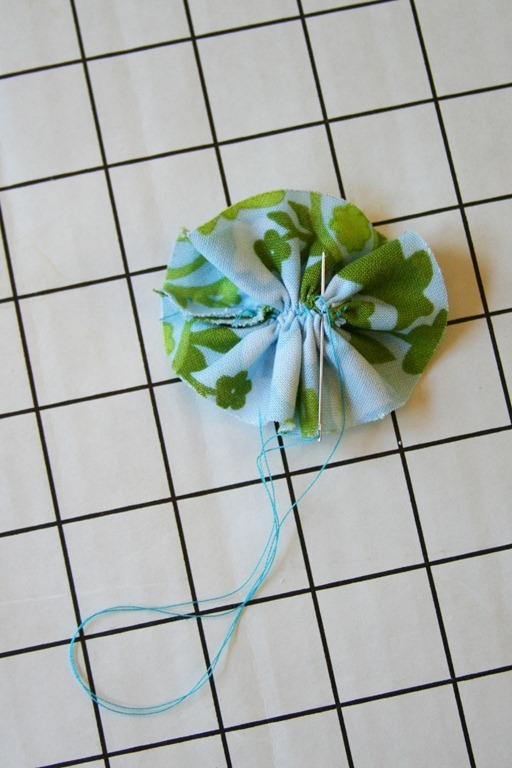 Step Three: Sew the short ends together so you have a ring. Step Four: Squash the circle a little to make an oval and sew the middle together on the backside so it stays an oval shape. Step Five: Repeat steps 1-4 on the 1 1/2 ” strips. Now you should have three ovals that look like this. 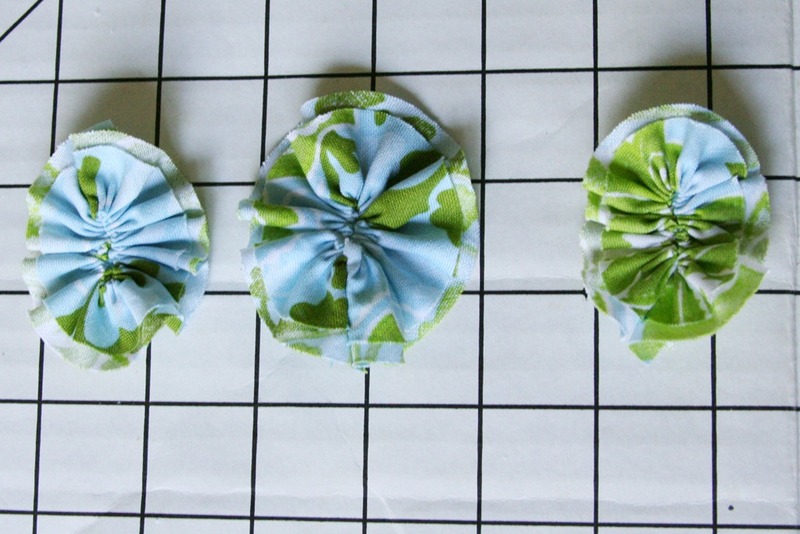 Step Six: Fray the edges of the ovals by pulling on the fabric with your fingers. Step Seven: Fray one side of your long 1″ strips. 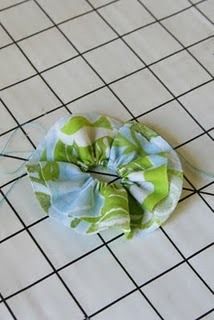 Then simply wrap your headband in the strips of fabric pulling the fabric a little so it forms to the arch of the band. Wrap at a slight angle and overlap just a little. I put a dab of hot glue on the underside of the headband with each wrap of fabric. 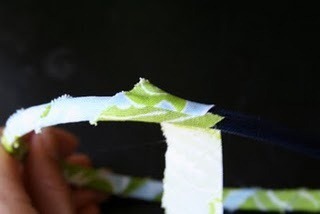 If you need both strips to completely cover the headband, place your “seam” on the top where you’ll be gluing your rosettes. Step Eight: Hot glue the ovals onto your headband placing them a little to the side. The largest oval should slightly overlap the smaller ones. 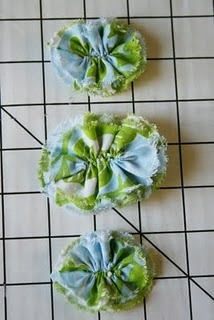 If you’d like, add a button, rhinestones, or a vintage earring like I did. Previous Post: Free Chevron Pattern Templates! Thank you! That’s just so cute! Such a beautiful headband Alicia. Thank you so much. Good luck in your new adventures of little ones, learning/attempts to cook and being super creative in finances. I remember those challenges a number of years ago myself. You can do it! Just think you are able to spend the best times with your kids amongst this new adventure – when they are young. That’s the best part in my opinion. Thanks for telling me what cutting on the bias means!!!!! I have seen that so many times and am like what are you talking about. I went to Joanns and was looking around for something to help me with my bias problem and they had a machine for over $100 that made bias tape??? Good thing I didn’t get it lol. Thanks for the tutorial! Wow Alicia you create some beautiful things, I love your blog too! 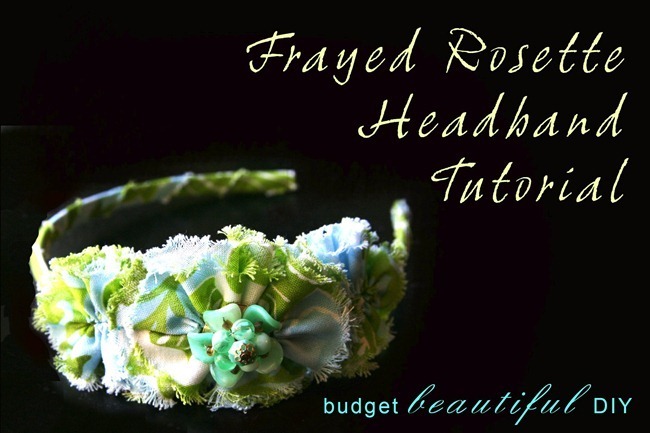 This is such a lovely headband!